This beautiful aromatherapy hand and body wash is fragranced with Rose Geranium pure essential oil, giving it lovely feminine sweet and uplifting floral scent. Blended with pure essential oils, Sea Buckthorn and Aloe Vera it will help hydrate and condition your skin leaving it silky smooth and delicately fragranced. Sea Buckthorn (Hippophae Rhamnoides) – known as the new ‘Wonder Berry’ due to its natural health benefits and anti-ageing properties, sea buckthorn has a unique composition of vitamins, minerals, nutrients and essential fatty acids, including Omega 3, 6, and 9, as well as Omega 7. Also known for its wonderful skincare properties as is known to be healing, rejuvenating, anti-ageing, reviving, renewing, replenishing and protecting. Aloe Vera (Aloe Barbadensis) – soothing, healing and cooling, with natural anti-inflammatory, anti-microbial, anti-bacterial and anti-fungal properties. It is also known to help promote cell growth and aid healing. Soap Bark Extract (Quillaja Saponiaria) – natural foaming agent derived from the Soap Bark tree. Also known for its moisturising properties which help soothe sore, dry, chapped skin, and athlete’s foot preventing itchiness. It’s also an immune system stimulant, and has anti-inflammatory with anti-bacterial properties. Buy both the 100ml and 250ml bottles together as a bundle and save £1.45. Directions: Add a generous amount of hand and body wash to hands or sponge and massage into hands or body then rinse with clean water. Safety: Do not use if pregnant, due to the pure essential oils in this product. This beautiful aromatherapy Rose Geranium Hand and Body Wash is fragranced with Rose Geranium pure essential oil. This gives it a lovely feminine, sweet and uplifting floral scent. Blended with pure essential oils, Sea Buckthorn and Aloe Vera, it will help hydrate and condition your skin, leaving it silky smooth and delicately fragranced. Rose Geranium – balancing, calming and relaxing for mind and body. Helps maintain stability of hormones and emotions, making it helpful with menstrual problems such as PMT and PMS. 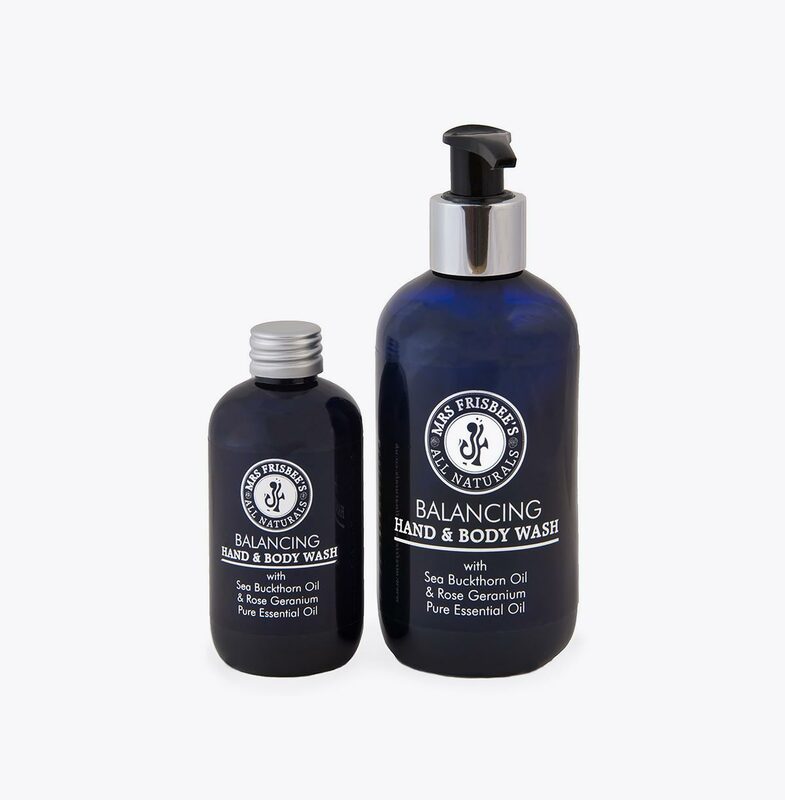 Also has great skincare properties – cleansing, skin freshening and astringent. Sea Buckthorn – known as the new ‘Wonder Berry’ due to its natural health benefits and anti-ageing properties. Sea buckthorn has a unique composition of vitamins, minerals, nutrients and essential fatty acids, including Omega 3, 6, 7 and 9. Also known for its wonderful skincare properties and to be healing, rejuvenating, anti-ageing, reviving, renewing, replenishing and protecting. Aloe Vera – soothing, healing and cooling, with natural anti-inflammatory, anti-microbial, anti-bacterial and anti-fungal properties. Helps promote cell growth and aid healing. Soap Bark Extract – natural foaming agent derived from the Soap Bark tree. Also known for its moisturising properties which help soothe sore, dry, chapped skin, and athlete’s foot preventing itchiness. It is also an immune system stimulant and has anti-inflammatory and anti-bacterial properties. Directions: Add a generous amount of hand and body wash to hands or sponge and massage into hands or body. Rinse with clean water. Buy both the 100ml and 250ml bottles together as a bundle and save £1.50. This is the second body wash I have purchased, and I really like the subtle fragrance of roses with this one. The dispensing unit is a stylish blue, looks good in my bathroom and easily fits on my baths edge at shower time. Totally in love with my ‘Sea Buckthorn & Rose Geranium’ hand & body wash. This hand and body wash is luxurious in every way. I was given this as a birthday gift and it is heavenly! It lathers up well and the scent remains on your skin; unlike some products that smell great in the shower and then disappear. Best gift ever! 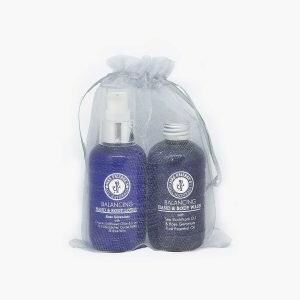 Blended with with rose geranium pure essential oil known for its beautiful sweet, uplifting floral scent and its wonderful skin care properties as well as being calming, relaxing and balancing. SIZE – 100g 100% natural, hypo-allergenic and pure. An effective moisturiser, softener and conditioner for any skin type.